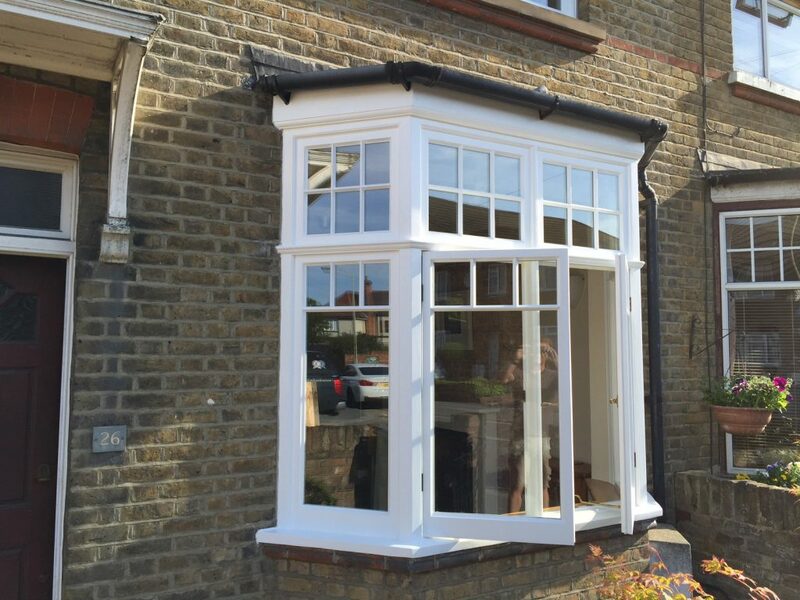 A recent project completed by the London & Herts Sash Windows team in Hoddesdon Hertfordshire. 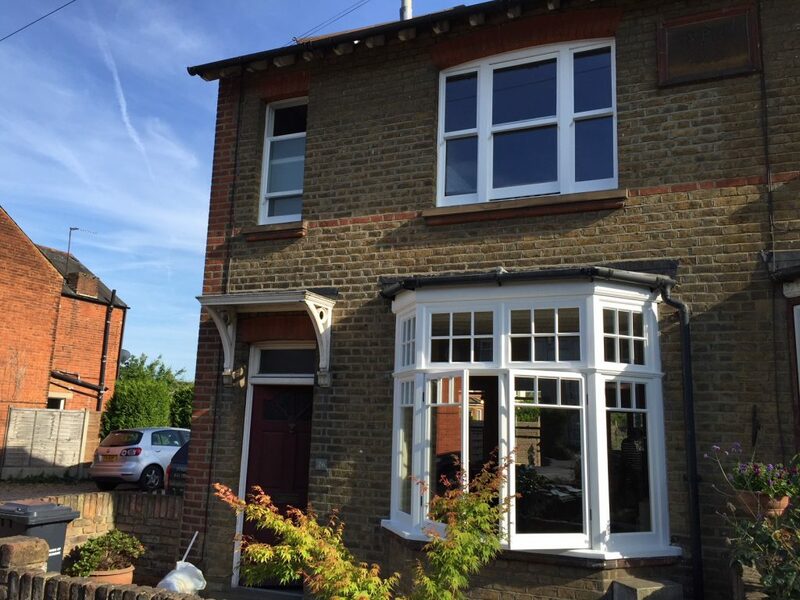 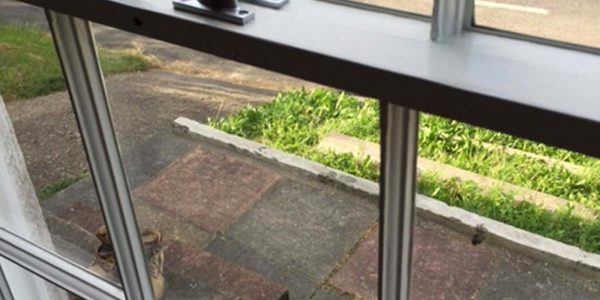 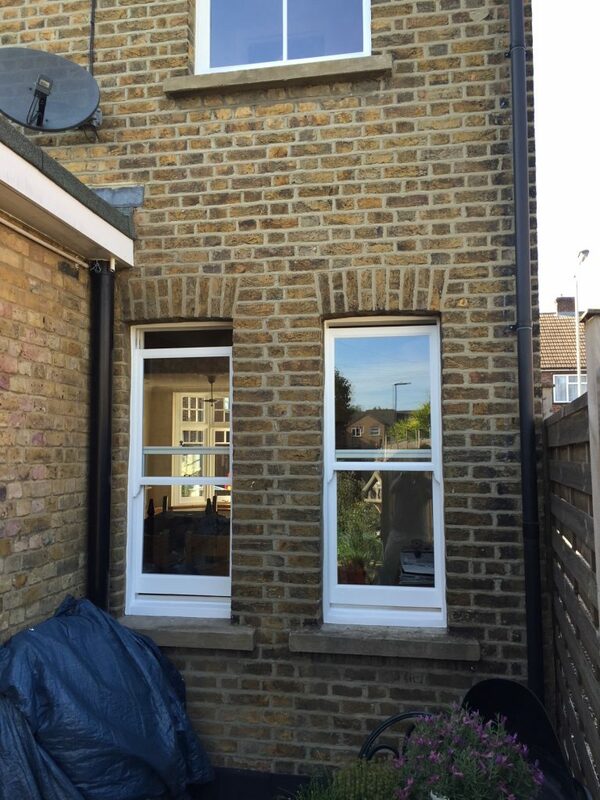 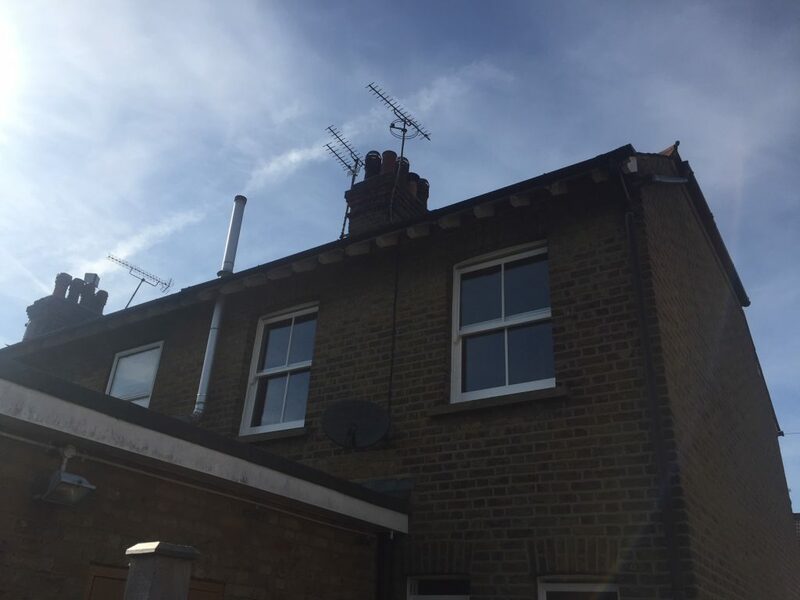 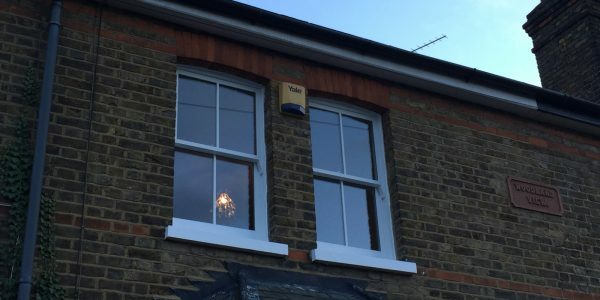 The house required replacement double glazed timber sash windows, replacement double glazed timber casement windows and the installation of slim line double glazing to its original sash windows. 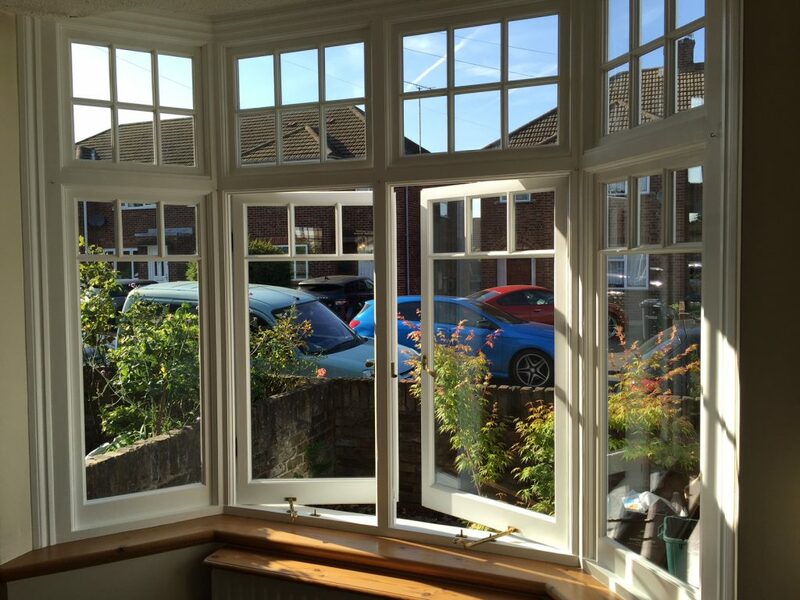 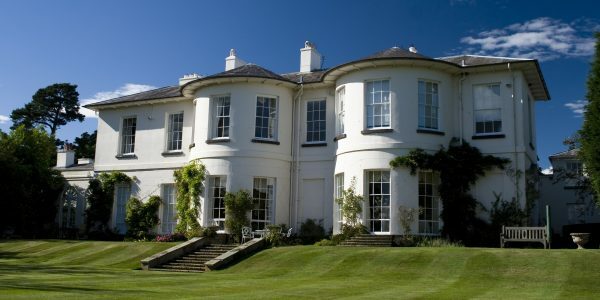 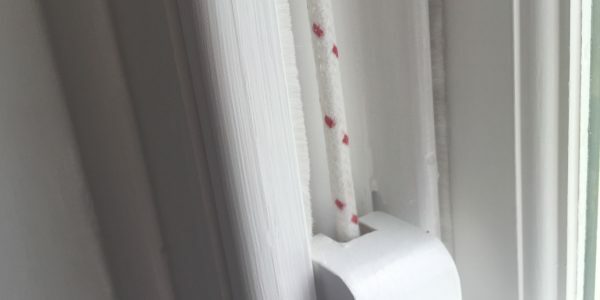 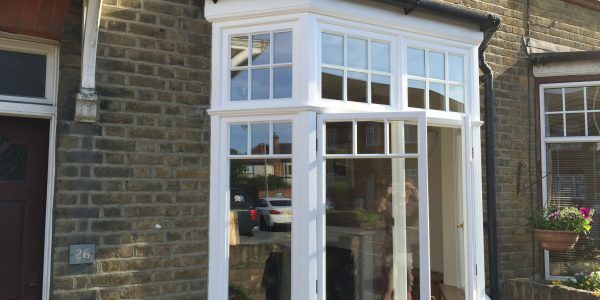 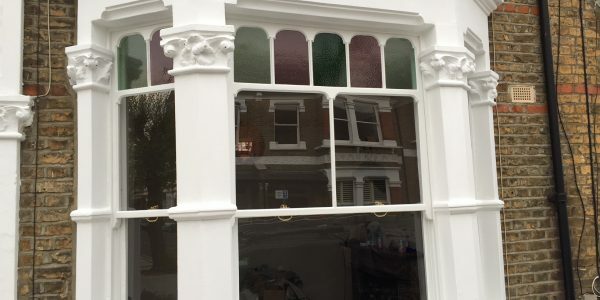 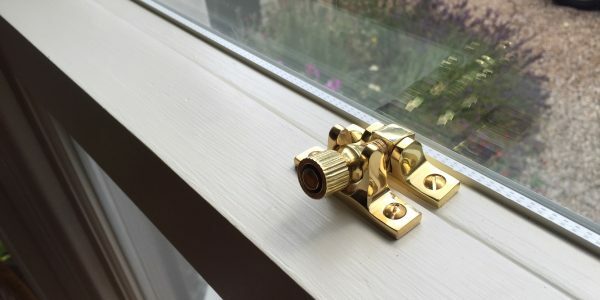 A great project which involved the restoration of all the window boxes and sills in the property (including a large bay window), while some sash frames were replaced with new hardwood frames fitted with slim line double glazing and others were restored and routered to accept the new slim line double glazed units. 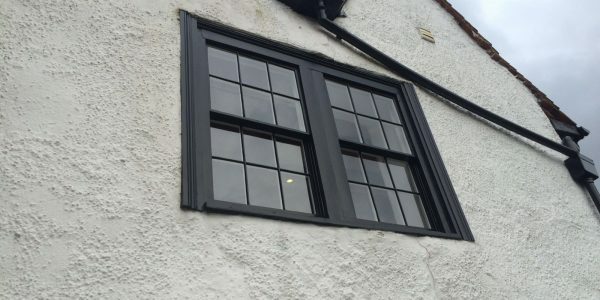 The casement windows for the bay were replaced with new hardwood windows created like for like with the original style, but fitted with slim line glazing. 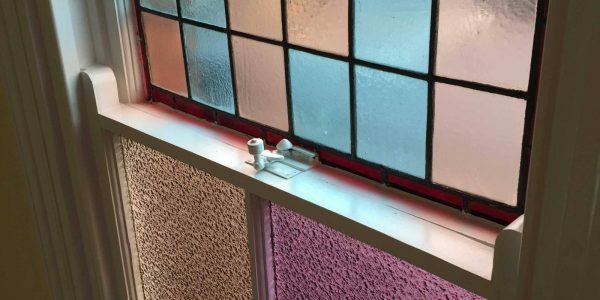 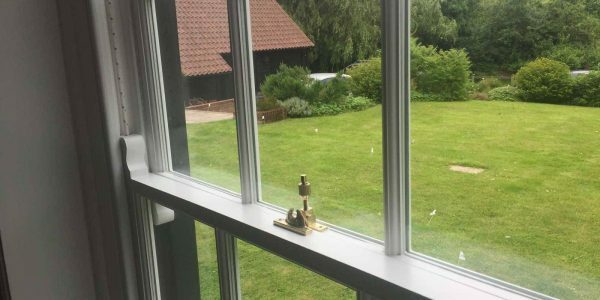 All windows were fully decorated by the team, and then fitted with draught proofing and new locks, latches and stoppers. 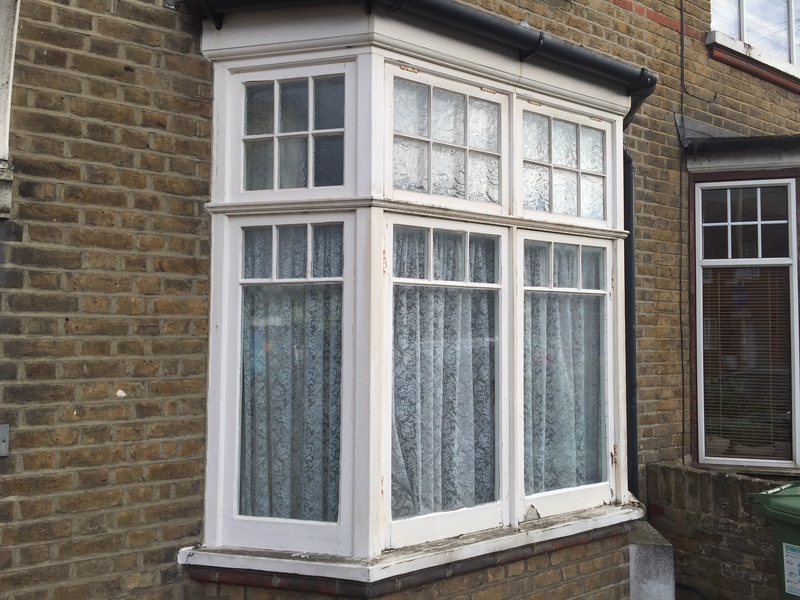 Before the restoration service provided by London & Herts Sash Windows on the timber bay window on this property in Hoddesdon. 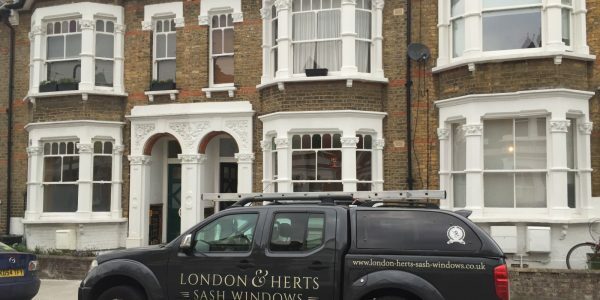 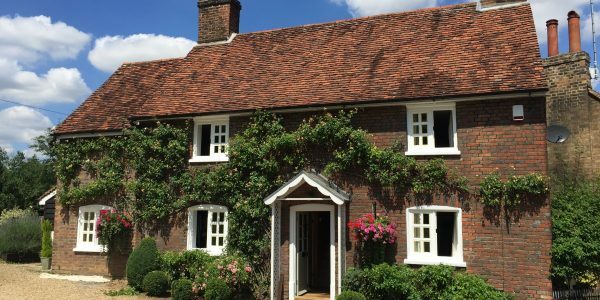 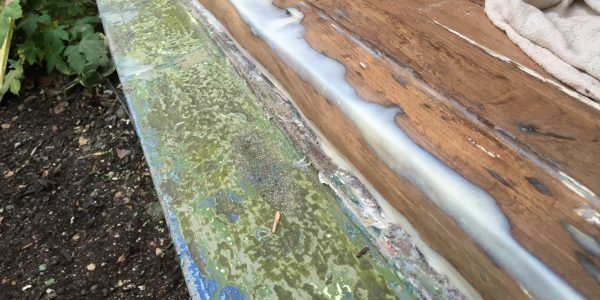 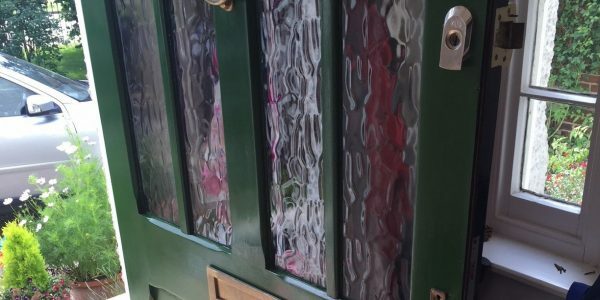 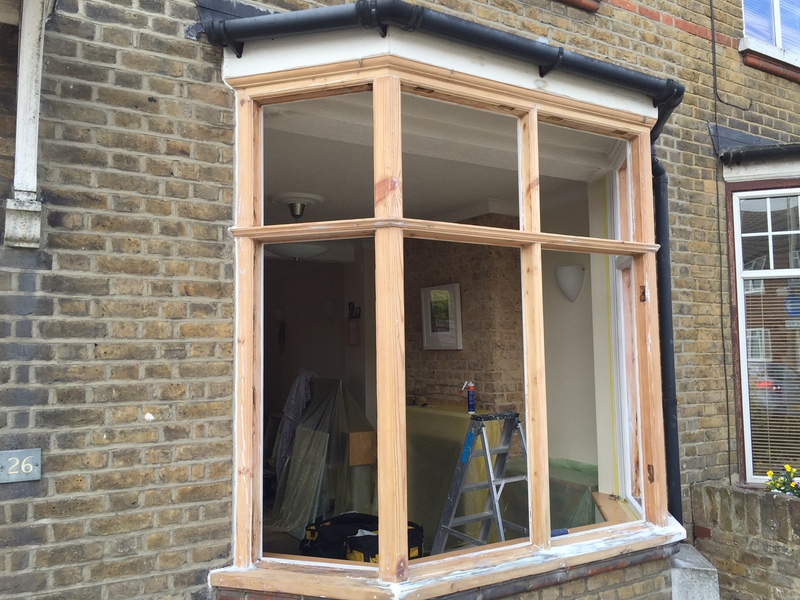 Our team works throughout Hertfordshire, Essex and London restoring, repairing and replacing timber windows, doors and sash windows. 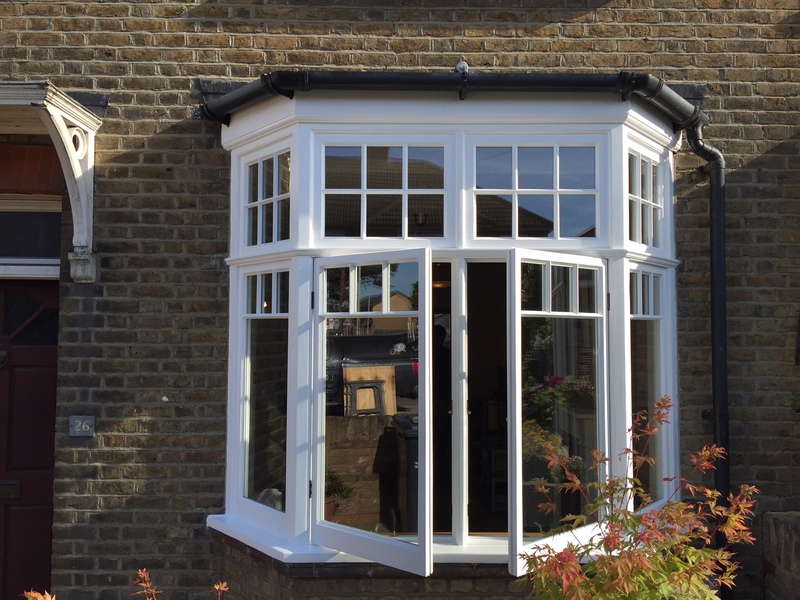 We also provide replacement double glazed new timber windows, or can double glaze existing sash windows and draught proofing services.